The USASF has established six Board level Growth Task Forces to consider barriers to growth for All Star Cheer and to recommend strategies for growth based on research findings. The six Task Forces are: Image and Appearance, Cost, Rules, Scoring, Time Commitment and DI/DII. 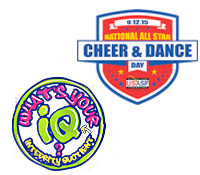 A third party research firm is currently conducting surveys of parents to measure the perceptions of and opinions about All Star cheer. The research findings will help determine the direction, makeup, and next efforts for each Task Force. The firm is reaching parents of children within a targeted age range who either don’t currently, do currently or did previously participate in All Star cheer, or who sought information from a USASF member program, but chose not to participate. The survey results are expected in October.